This September I will be doing a half marathon in memory of all those lost to or suffering with cancer. 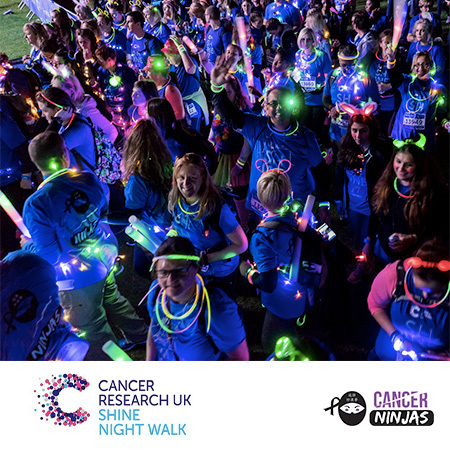 The Shine Walk video on this page from 2017 will give you an idea of what I will be doing on Saturday 22nd September, blinged in glow and flashing lights with many Cancer Ninja friends and some 12,000+ other Shiners. Shine last year raised over £2.3m, and I am hoping 2018 will be better still!